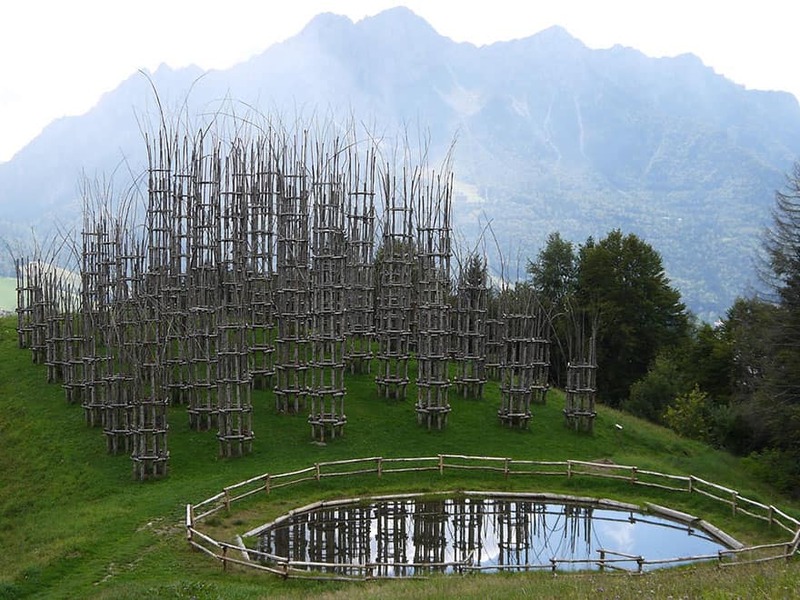 Italian artist Giuliano Mauri’s epic Cattedrale Vegetale is an incredible feat. 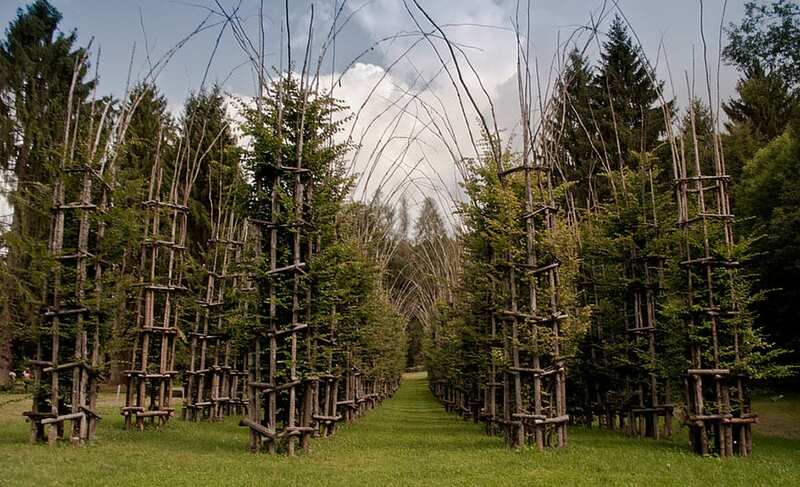 The late artist’s two groves of trees are destined to grow into a pair of majestic basilicas, and create a living cathedral. 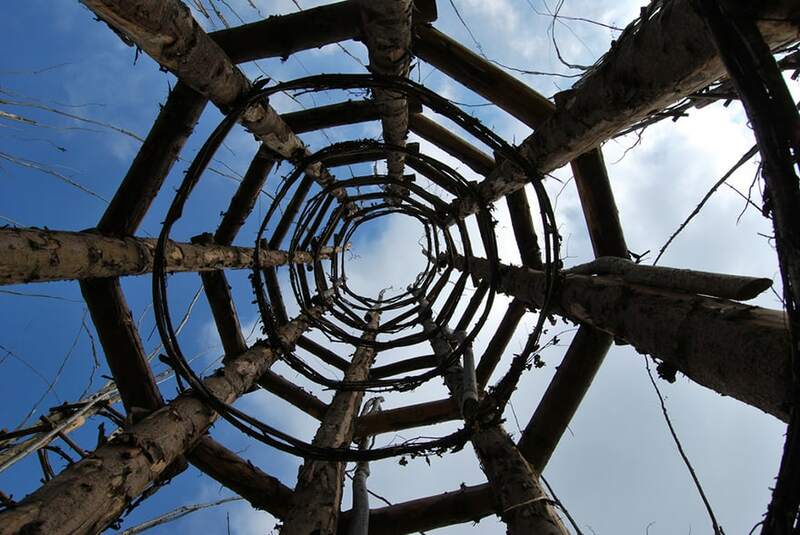 The framework columns seen in these photos will rot away eventually. 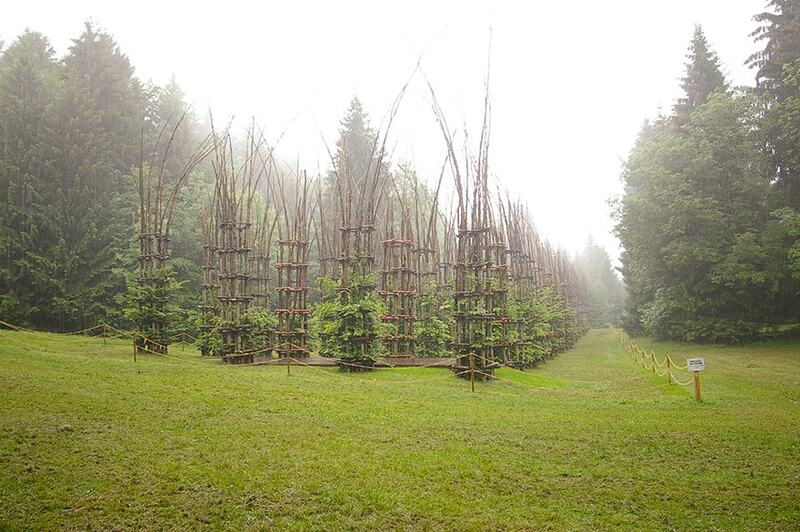 They will then be replaced by the trees planted in the center of each frame. 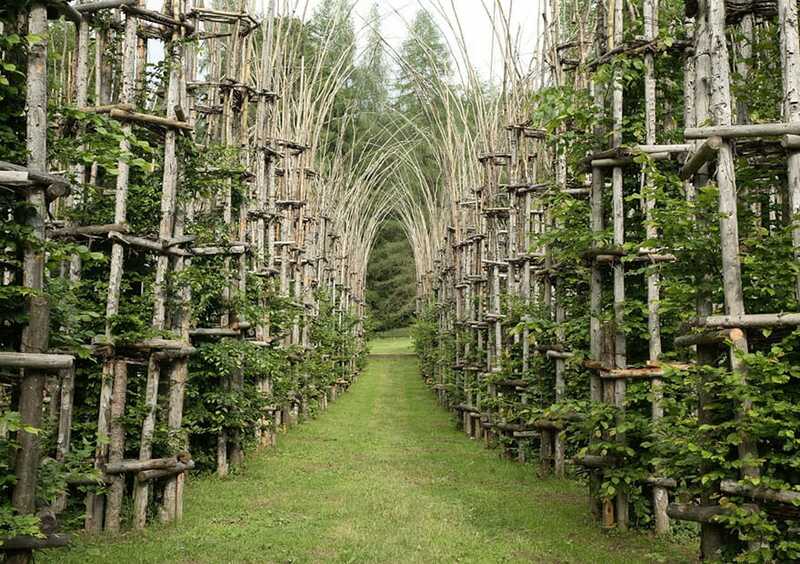 As these grow, their canopies will mesh and create the ceiling of a Gothic cathedral. Mauri passed in 2009, but his work will live on in this magnificent endeavor. We’ve found a selection of photos that really give you a sense of the size and scale of this project. 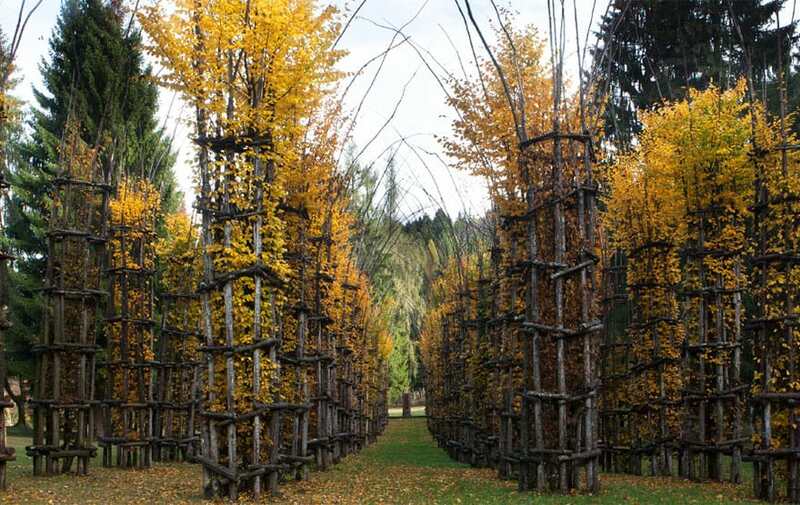 Here, you can already see the trees beginning to mesh and form that vaulted ceiling. Pretty much the same image, in better weather. This really gives you a sense of the time this project will take to be completed, but also of its endurance. The leaves may start to fall, but the project will continue onwards. Another shot that gives you a sense of the height and scale of this project. The pond that reflects the cathedral is a lovely and elegant touch. 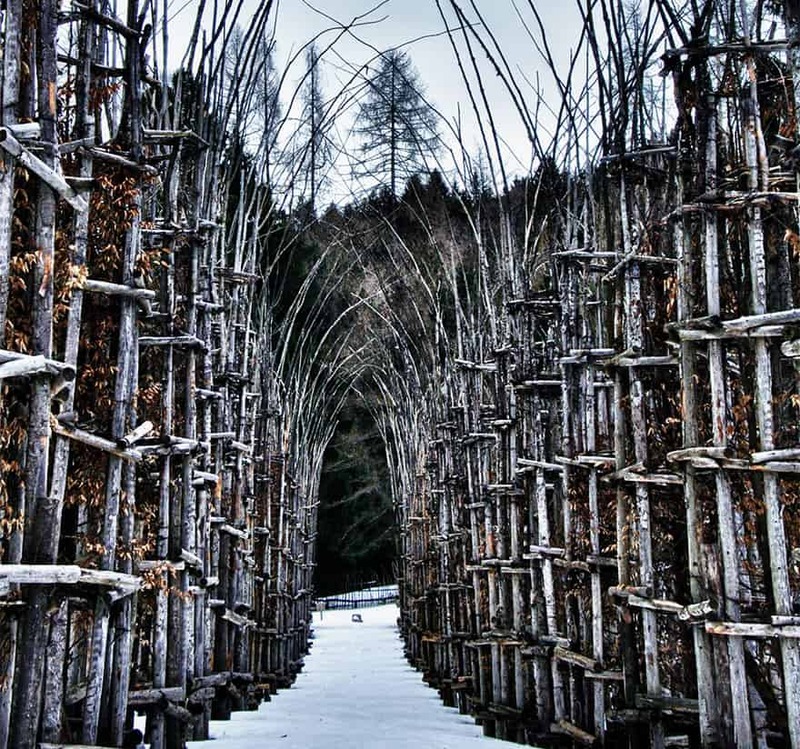 Artist Mauri laid the groundwork for his first visionary cathedral in Valsugana, Italy in 2002. 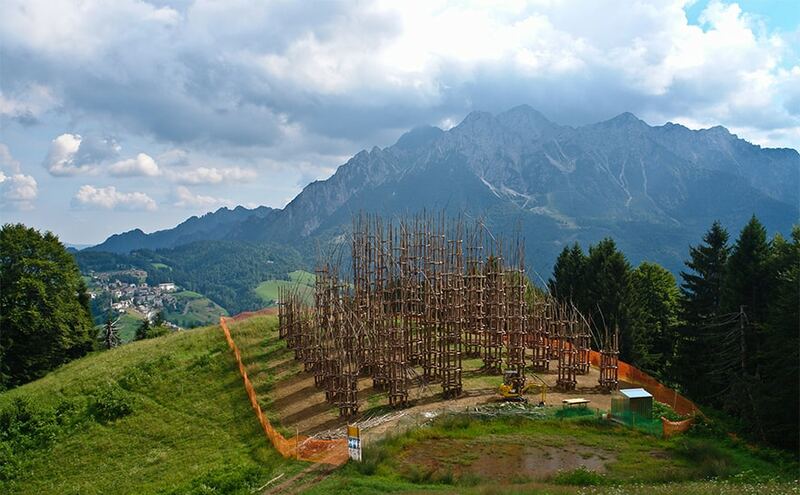 Mauri has laid the groundwork of a temple in which the only devotion you need offer is to nature. This image of early construction shows us a breathtaking view of the mountains and town below, and reminds us that this is such a huge project to take on.